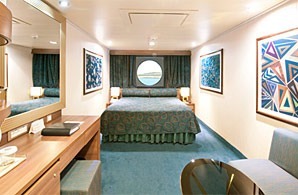 We are delighted to announce the arrival of MSC Preziosa, an elegant new masterpiece in cruise ship design. 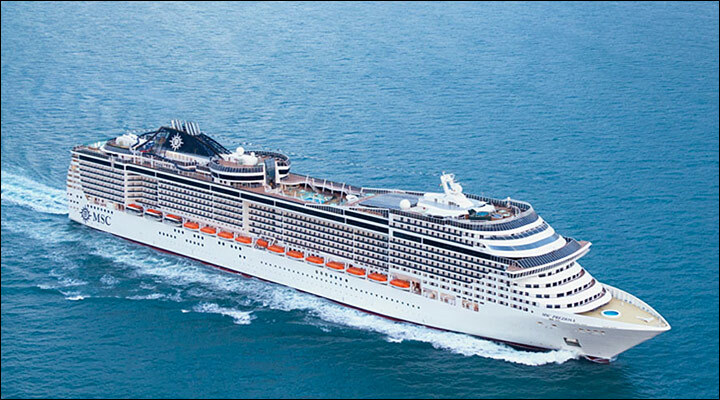 Offering the utmost in comfort, service and advanced, environmentally-friendly technology, the 13th addition to the MSC Cruises fleet completes our flagship MSC Fantasia class. 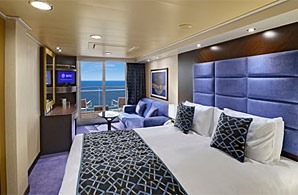 She shares many sophisticated features with her sister ships, from the exclusive designer suites of the MSC Yacht Club to the lavish wellbeing facilities of the MSC Aurea Spa. 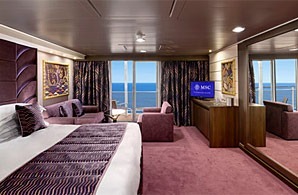 MSC travellers will be able to soak up the sun in style at the new Top 18 Exclusive Solarium, an adult-only sanctuary of serenity boasting premium deck space and stunning sea views. With its own dedicated spa service, bar menu and complimentary delicious fruit skewers, Top 18 is the perfect place to relax, unwind, and watch the waves go by. 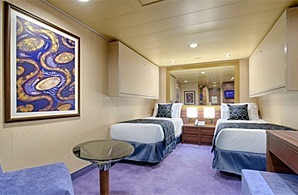 And like every ship in the MSC Cruises fleet, she is designed to offer all her guests the ultimate cruise experience.